Born 10 July 1810, at Granville, Licking, Ohio. Died 18 December 1894, at Hampton, Franklin, Iowa. Married 1 July 1834, in Granville, Licking, Ohio. 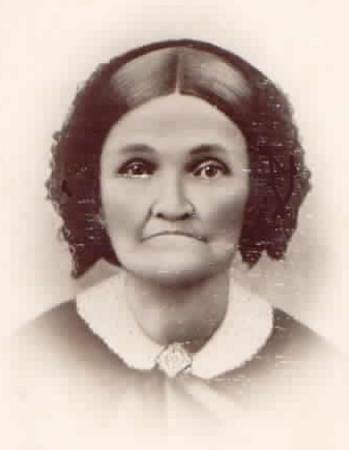 Hannah was the daughter of Ezra Holcomb and Lucy.. She was born 3 April 1807, in Granby, Hartford, Connecticut, and died 7 April 1891, in Hampton, Frnaklin, Iowa. They had several children and lost many of them to death. Granville was hit with several cholera epidemics during the 1840's and 50's. It is unknown if that was the cause of any of the deaths of their children. In 1863, they decided to move with their children to Franklin County, Ohio, where they lived until the time of their deaths. Milo was born in Granville, Ohio, not many years after his parents moved there as a part of the Licking Land Company. He was married there and lived until his son, possibly both sons, and several of their in-laws all moved to Franklin County. Iowa in 1863.He and Hannah moved with their children and died and are buried in the Hampton, Iowa cemetery. It is believed that Milo was a farmer. According to the book: "History of Franklin Co, Iowa, " Milo Rose, a Buckeye by birth, settled here in 1863 and was the owner of a farm on Section 24. Mr Rose became pertinent not only as a farmer but also as a man of affairs pertinent to the interests of the community. Among other office he led was that of county supervisor." LUCIAN COVEL ROSE, b. 11 Jul 1835, Granville, Licking, OH; d. 02 Dec 1872, probably Iowa; m. CHRISTINA A MOORHEAD, 16 Aug 1865, Granville, Licking, OH; b. 16 Jul 1841, Ohio; d. 08 May 1909, Probably Iowa. Notes for LUCIAN COVEL ROSE: Served in the Civil War as Sergeant, Co. K, 76th Reg. After the war they moved to Hampton, IA with Lucian's brother Timothy. It is believed he and Christine died and are buried there. LUCY PHILENA ROSE, b. 27 May 1837, Granville, Licking, OH; d. 12 Apr 1860, Granville, Licking, OH; m. OMAR STOUGHTON. Notes for LUCY PHILENA ROSE: Lucy was married in Granville and died shortly after, presumably due to a pregnancy at age 22. She is buried in Phillips Cemetery, Rde 119-120 in Granville Twp. CELMA ROSETTA ROSE, b. 16 Jul 1839, Granville, Licking, OH; d. 12 Mar 1920, Hampton, Franklin, IA; m. JOHN BEED, 10 Nov 1864, Hampton, Franklin, IA; b. 07 Mar 1837, Colton, Devonshire, England; d. 24 Mar 1907, Hampton, Franklin, IA. Notes for JOHN BEED: In the 1870 Census John and Celma are seen in Ingram Township and living with them was Ezra Holcomb, Celma's uncle. Living next to them were E. W. Haecker and his family and Charles Beed and his family. According to the "History of Franklin County, Iowa", John's business was: "engaging in buying grain". He was the first of the Beed family to come to America in 1853, coming from London and settling in Batavia, Ill., then moving to Hampton, Iowa in 1858. EMMALINE SABRA ROSE, b. 16 Oct 1841, Granville, Licking, OH; d. 22 Sep 1855, Granville, Licking, OH. TIMOTHY HARRIS ROSE, b. 11 Dec 1843, Granville, Licking, OH; d. 01 Jan 1929, Guymon, Texas, OK.
HANNAH ROSE, b. 14 Feb 1846, Granville, Licking, OH; d. 24 Feb 1846, Granville, Licking, OH. HIRAM ROSE, b. 07 Mar 1849, Granville, Licking, OH; d. 24 Jul 1850, Granville, Licking, OH. CAROLINE ANSONETTA ROSE, b. 15 Jul 1850, Granville, Licking, OH; d. 22 Jul 1917, Hampton, Franklin, IA; m. REV. EMANUEL WILHELM HAECKER, 27 Nov 1867, Hampton, Franklin, IA; b. 06 Jul 1842, Liverpool, Medina, OH; d. 21 Feb 1874, Hampton, Franklin, IA. Notes for REV. EMANUEL WILHELM HAECKER: Emanual's name is sometimes seen as "Emmuel". 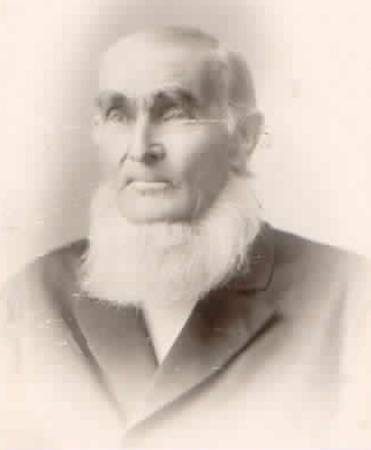 He was the oldest son of Henry and Barbara, and lived in Franklin County, Iowa, from about 1860 until the time of his death. He was a Congregational Minister.